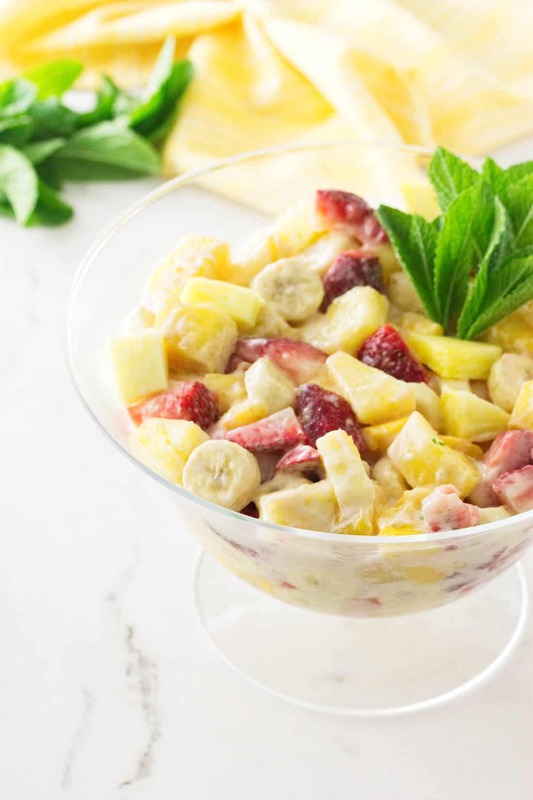 This tropical fruit salad with honey yogurt dressing is a variety of fresh fruit tossed with a lightly sweetened, creamy yogurt dressing. 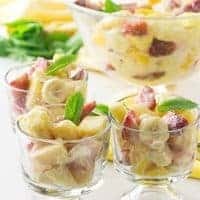 Fruit salad is always a big hit at group gatherings and this tropical fruit salad is perfect for a sunny picnic day or the church potluck. Not only is this a healthy salad that will satisfy your sweet tooth, it is fast and easy to make. Now that is a winning combination. 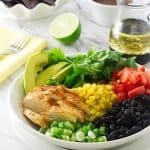 Fast, easy, and healthy. Most of the time, anything that is fast and easy is associated with artery clogging, processed food. But this salad is a bowl full of fresh, clean, and wholesome food. The healthy honey yogurt dressing brings it all together. The slight tanginess from the yogurt and lime is a perfect balance with the sweetness of the honey and all the fruit. 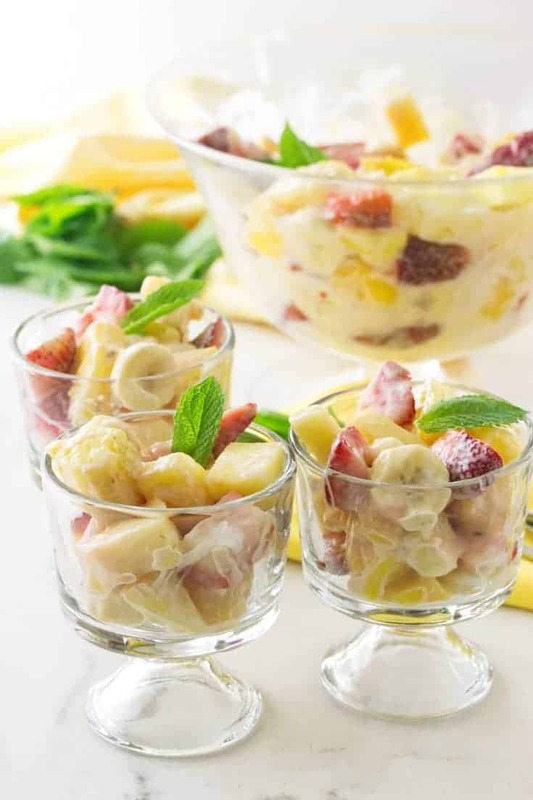 What are the ingredients in this tropical fruit salad? Here is a quick shopping list of the ingredients you will need. How long can you keep this tropical fruit salad? This salad is best eaten the same day you make it. However if you have any left over, you can store it covered in the fridge for two to three days. 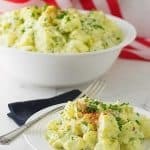 The juices will seep out and make the dressing watery the next day but you can drain the juices off and freshen it up with a little more yogurt dressing. 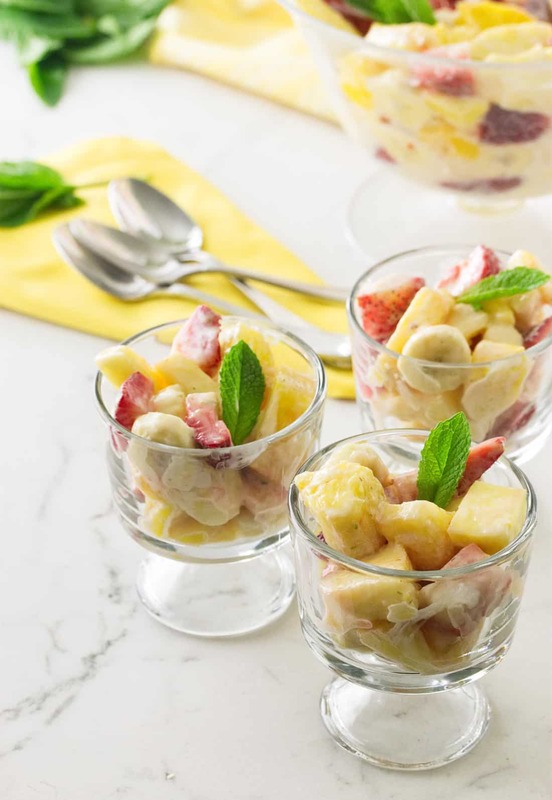 This fruit salad is a bowl of tropical sunshine. Bring some sunshine to your party! Fresh tropical fruit is tossed with a lightly sweetened and slightly tangy honey yogurt dressing. Place the cut-up fruit in a large bowl. 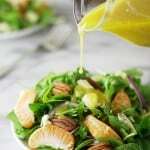 In a small bowl, combine ingredients for the dressing and mix it well. Pour the dressing over the fruit and toss well. 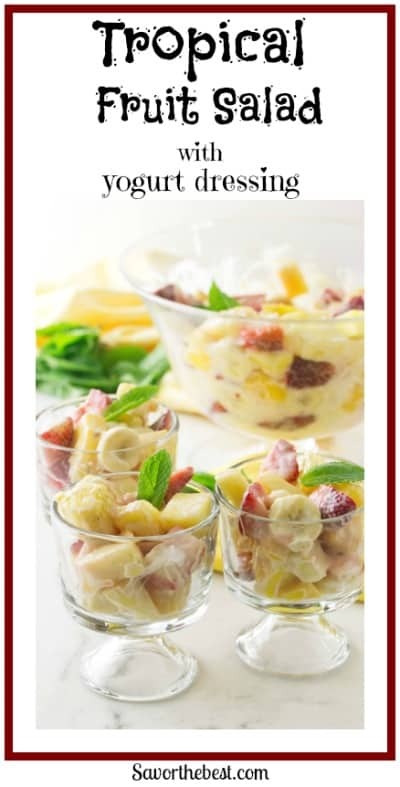 Have you made this tropical fruit salad with honey yogurt dressing? If you have made any of our recipes, snap a photo and hashtag it to #savorthebest on Instagram and Facebook. We love hearing from our readers. If you have questions or suggestions, drop us a comment below. Fruit salad is wonderful, isn’t it? And such a satisfying end to a meal — and one that’s not too calorie-dense. That dressing looks killer — really nice. Thanks!